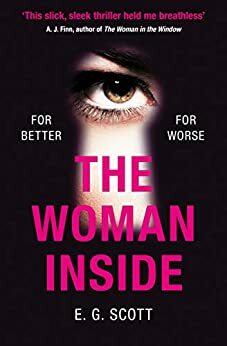 A page-turning thriller about secrets and revenge, told from the perspectives of a husband and wife who are the most perfect, and the most dangerous, match for each other. Rebecca didn’t know love was possible until she met Paul, a man with a past as dark as her own. Their demons drew them together, but twenty years later, the damage and secrets that ignited their love begin to consume their marriage. When Paul catches the attention of the police after two women go missing, Rebecca discovers his elaborate plot to build a new life without her. And though Rebecca is quickly spiralling out of control, it doesn’t stop her from coming up with her own devastating plan for revenge… they made a promise to each other, afterall. Life seems to be perfect for Rebecca; a good job, a husband she loves and a healthy saving account balance … as long as you over look her dipping into the drug samples she’s supposed to be handing out and life unravelling around her. With narration that switches between different voices and time frames throughout, readers are able to experience events through the eyes of Rebecca, her husband Paul, Paul’s once mistress Sheila and the detectives investigating the disappearance of two women. In doing so, readers get a glimpse into the twisted and dark mindsets of some truly dysfunctional characters. Watching the plot unravel and seeing the events unfold makes for an interesting and often gripping read, it’s the sort of read that you start trying to guess ahead and don’t quite know where it will end up. As far as plot goes, there’s so much happening in 300 ish pages, almost like a wee whirlwind rampaging and taking you along for the ride. But for me the exploration of drug dependency and relationships was one of the key areas of interest whilst reading. As readers watch Rebecca slowly losing her grasp on reality and questioning things around her, her suspicions and paranoia feel real, and I found that I wanted to find out how much of it was the drugs or whether her suspicions were right, and someone was messing with her. It’s fair to say that the majority of the characters are flawed, their unreliability leads to a narrative that twists and weaves around, leaving readers wondering what and who they can trust.